At the very beginning of this month, over 90 students participated in our biggest (and as many audience members are reporting, “best”) production in Kambrya’s history. After embarking on a journey that started all the way back in week 1 of this year, I am so proud to say that we made it over the rainbow and with absolutely flying colours! The students worked incredibly hard for many months, learning songs, designing sets, making props, sewing costumes, cueing the lighting and sound desks, setting up displays… the list goes on. We threw more challenges at them this year than ever before and they rose to the occasion and absolutely blew everyone away with their commitment, morale and various talents. Congratulations to all students who were involved; you should be extremely proud of your amazing achievements. Of course, the students were guided by a brilliant team of staff and ex-students whom we just could not do without, so I would like to thank everyone involved for all of their wonderful work! One last thank you to all of the supportive families, friends and audience members who helped us celebrate such a wonderful success in our sell-out production season for 2018! Again, congratulations to all involved and thanks to everyone who helped create the magic or came along to experience it. We love you for it. 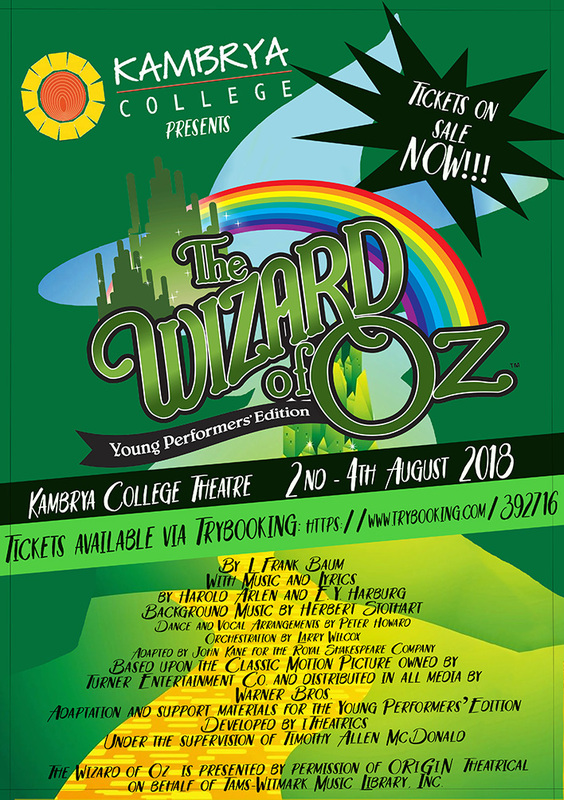 Kambrya is developing a proud tradition within the Performing Arts of putting on a musical each year. We have nearly 100 students involved both on stage singing, dancing and acting; as well as off stage designing and building sets, props, costumes and also learning lighting and sound engineering.